This is the new name for the estate's second wine, formerly called Sarget de Gruaud in honour of a former owner. 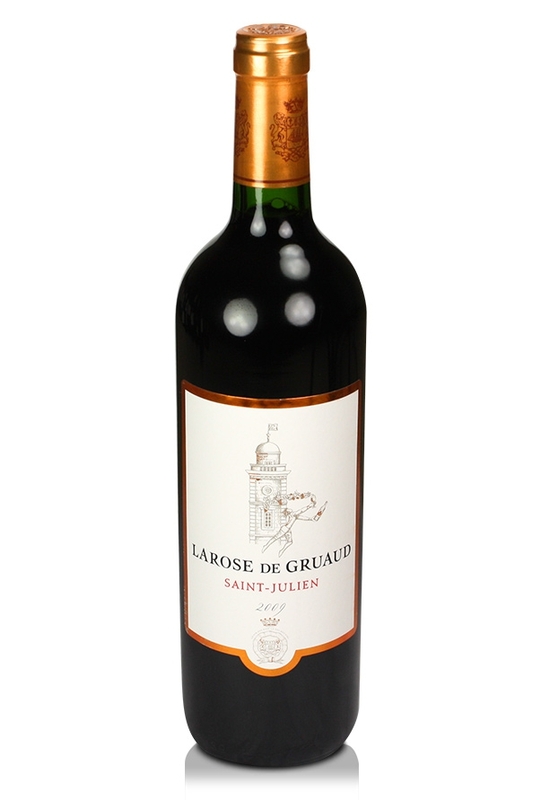 Larose de Gruaud, Saint-Julien, 2009 is a lovely red that comes from younger vines of the famous second growth Château Gruaud-Larose with a higher amount of Merlot in its blend of Cabernet Sauvignon, Merlot, Cabernet Franc and Petit Verdot allowing for earlier drinking. 2009 was a great vintage in Bordeaux and you will find in this wine a rich and intense palate packed full of blackcurrant, cedar and spice. Its nose of cassis, blackcurrant, sous-bois and liquorice complements its relatively sweet palate and fine tannins. It is fresh, elegant and full of fruits with a surprising capacity to age. 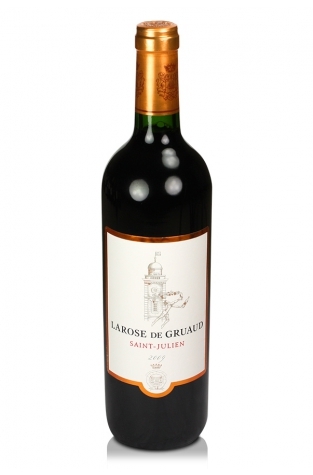 One of the biggest, best-loved second growths of Bordeaux, Gruaud Larose can produce tannic and ungraceful wines in their youth but they have fantastic potential to age and become beautifully full-bodied wines. It is grown on 84 hectares of vineyards situated on a gravel-rich plateau in the proximity of Chateau Beychevelle. A regal delight, it is no wonder you find 'Le Roi des Vins, le Vin des Rois' on its label.